L.A. rapper Blu, co-author (along with producer Exile) of last year’s critically-acclaimed Below the Heavens, and J-Dilla associate Ta’Raach have formed a new group called C.R.A.C. 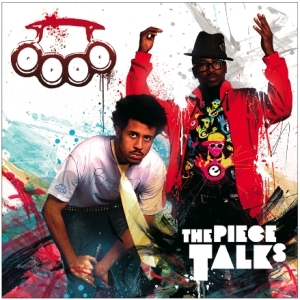 The duo’s debut, The Piece Talks, drops April 22 on Tres Records. Some Internet nerds are already familiar with the C.R.A.C. sound. Two songs, “Love Don’t” and “Bullet Through Me” have circulated online for the past few weeks. The rest of the track listing, which you’ll find below, reveals a song-naming process as imaginative as their somewhat cryptic name (which is pronounced crass, by the way). Have a gander. This entry was posted in News and tagged Blu, C.R.A.C., Ta'Raach, Tres Records. Bookmark the permalink.